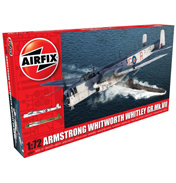 As the Airfix Military Aircraft range is so large we have had to split it into two time scales and here we cover the period pre 1950. 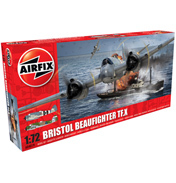 Airfix themselves further subdivide this time into 1914-1929 and then 1930-1950. 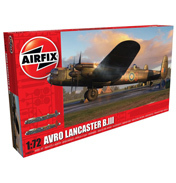 In terms of Aviation history the period 1900-1914 is said to be the Pioneer Era (not covered by Airfix current production) and the Golden age is said to have had a time slot between 1918 and 1939 which is basically the time between the two World Wars. In the earliest stages of flight there are four planes which are focused on, each with a relevance to aviation history. In this earlier period aircraft were called biplanes, having two (hence the bi) fixed wings one on top of each other and early models were made out of wood. Biplanes structurally were strong however they produced a lot of drag in comparison to a monoplane wing. This meant in the 1930’s this particular design simply went out of fashion as new technological developments came through. 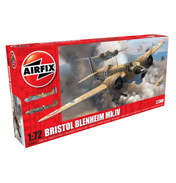 The Airfix model of the Hanover CL.III is a biplane from the era of World War I and was used by the German Air Force and its distinguishing feature was that it also had a biplane tail which principally was included in the design to allow better firing by the tail gunner. Another biplane included here is the RE8 (by Royal Aircraft Factory) and this was used by the Royal Flying Corps, part of the British Military, in reconnaissance and also for spotting enemy artillery. The Albatross DVa is also a biplane piloted by a famous German who became known as the Red Baron following his successes in air combat. 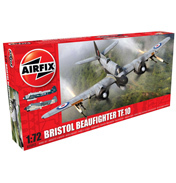 The British equivalent being the Brisfit or Bristol Fighter F.2B also used in recon missions. Moving onto the second period of 1930-1950, this age saw a major shift in airplane advancement as designs moved into the higher power monoplanes. 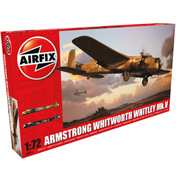 As such Airfix has a vast range of model kits available and we will touch only on a few in this summary. 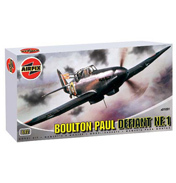 And indeed the most famous planes involved in the Battle of Britain have been extracted into their own category as they have such significance of their own. The planes below can be sub classified as either bombers or fighters, both very different to each other as they had very diverse jobs to do. In the most bombers were slower and designed of course to carry and drop bombs, whereas the fighters were more agile having the ability to attack, defend and dog fight. British Military WWII Aircraft included the Airspeed AS51 Horsa glider used in the D Day paratrooper landings. 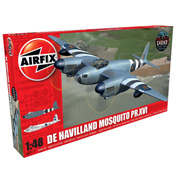 Probably the best UK WWII fighter was the De Havilland Mosquito (mainly made out of wood) and the RAF used the Fairey Battle and Swordfish for bombing and attack, the Swordfish being used as a torpedo spotter. 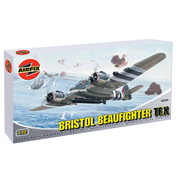 Other bombers included the Hawker Typhoon and Handley Page Halifax and Hampden. Other fighters included the Hawker Tempest. German WWII Fighter Aircraft included the Focke Wulf Fw and Ta Series planes as well as the Arado AR series (the Arado Ar196 was one of Bismarck’s planes), Blohm & Voss BV’s, Heinkel He and HD’s, the Henschel Hs, and Messerschmitt Me and Bf Series planes (the Me 262 being one of the first ever jet engines). Their Bombers were Dornier Do’s bomber series, Henschel Hs 123, and the Junkers Ju52 served as both fighter and bomber with the Junkers Stuka and Ju87-B being dive bombers. Japanese planes included the bomber Val and Mitsubishi Zero Fighters used in Pearl Harbour and later in the war. 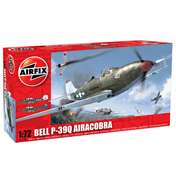 The Soviet Union Fighters included the MiG 15 and Yakovlev Yak-9D, and their attack plane was the Petlyakov PE-2, plus they had the Bell P-39Q Airacobra. The USAAF used the North American F-86 during the Korean War and they had a seaplane called the Vought Kingfisher. Their fighters included the Vought F4u Corsair, Curtiss P-40B, Canadair Sabre and the US Navy used the Curtiss SB2C Helldiver. They also had a bomber in the Douglas Dauntless and the Lockheed Hudson as well as the Consolidated B-24 Liberator US Long Range Bomber. 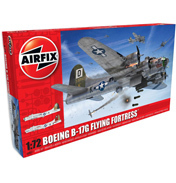 The majority of these Airfix Airplane kits are scale 1:72 (look out for the red boxes). Some are also 1:24 and 1:48. Whatever your skill level you are sure to find the right plane for you and when you have done one it all becomes a little bit addictive!